Restless Mania: Ding Dong! The Witch is Dead! 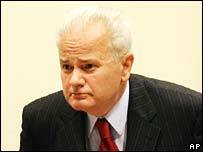 Slobodan Milosevic, former Yugoslav president and war criminal, was found dead in his cell in the Hague this morning. All I will say is this: good riddance to bad rubbish.